Hey guys! It’s Lily and Kara, the founders of Dallasites101! We are super excited to announce that we will be working with Smart City Apartment Locating to put out a new blog every month in an effort to get you even more connected with the Big D! To kick it off, we want to take you around to our go-to spots. These are the places that have been longtime favorites, even before Dallasites101 existed, and the spots that we always take an out-of-town guest who’s never been to Dallas. 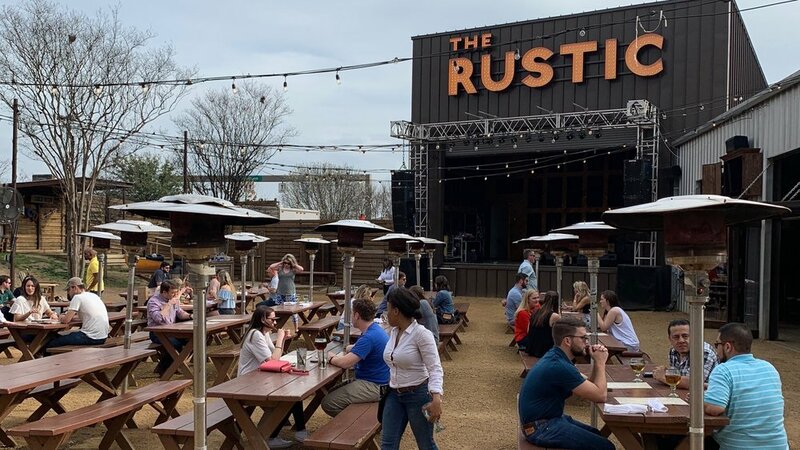 We love taking out-of-towners to the Rustic – it’s the best taste of what people not from Texas, think of Texas, that you can find right in the heart of Dallas. You get your live music fix, your Texas decor fix and your massive patio bar fix, all in one spot!